Beautifully handcrafted with delightful attention to detail, Jim Shore's charming miniatures capture the essence of the beloved Disney characters. Making a wish on a heart held close, this beguiling Minnie is a heartfelt and playful romantic design. 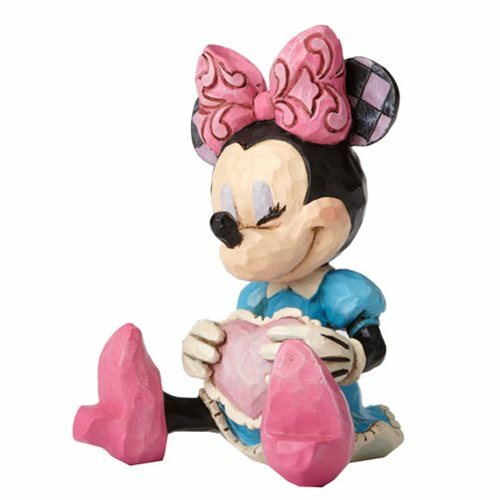 The Disney Traditions Minnie Mouse Mini Statue is made of stone resin. Measures about 3-inches tall x 2 1/8-inches wide x 2 1/8-inches long.